Written by Cornish aviation historian, Bob Andrew, who, as a lad, used to cycle over from Callestick some three miles away to watch the Spitfires during the war, this excellent book records the activity from 1941 to 1945. 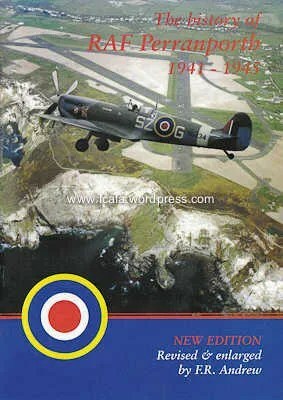 The book includes details of 310 (Czechoslovak) squadron who had been amongst the various Royal Air Force, Polish Air Force, Fleet Air Arm, Free French, Royal Canadian Air Force and Royal Australian Air Force squadrons who had been based at Perranporth (Trevellas) airfield. Details of some of the patrol and offensive operations undertaken by these squadrons including their successes and losses.